Shaykh Mustafa Sabri, the last Shaykh al-Islam of the Ottoman Caliphate, was one of the greatest geniuses of 20th-century philosophical theology, although his expertise encompassed all of the traditional sciences of Islamic civilisation. 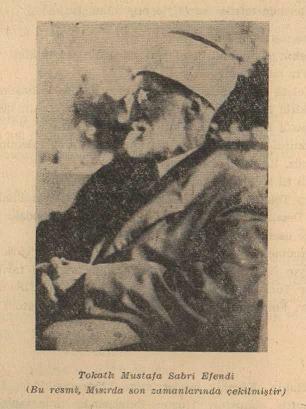 Born in 1869 in Tokat, present-day Turkey, he studied at Kayseri and Istanbul, his quick mind and piercing insight quickly gaining him the respect and then reverence of his peers, and he quickly rose through the ranks of the caliphatal ‘ulema, until he was appointed Shaykhu’l Islam, the highest religious position in the Caliphate. He soon found himself delivering lessons at court directly to the Sultan Abdal Hamid II, as it was the ancient practice of the Ottoman caliphs to take instruction from the greatest scholars of their lands. At the fall of the Ottoman Caliphate in 1923, the Shaykh was expelled from Turkey by the militantly secularist Kemalist administration brutally attempting to wipe out the last vestiges of that glorious Islamic civilisation. Indeed the Shaykh was lucky to escape with his life, for countless ‘ulema and Sufi masters were murdered by the fanatical westernising administration of Atatürk, who sought to transform Turkey into an atheistic republic. 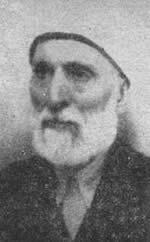 Shaykh Mustafa Sabri mastered the Logic and Philosophy of the late Ottoman State, sciences that constituted, in the formulations of such unique figures as Gelenbevi (d.1791), probably the most refined rational framework in human history. Eventually settling in Egypt after his expulsion from Turkey, Shaykh Mustafa Sabri wrote his monumental 3-volume Mawqif al-‘Aql as an intellectual response to the huge attack on Islam of the time, of which the destruction of the Ottoman Caliphate was simply one of the most acute manifestations. In Mawqif al-‘Aql, Shaykh Mustafa Sabri uses his sensational intellectual capacity and tools to comprehensively critique the very foundation of Western thought, humbling Kant for his naive and presumptuous attack on the validity of metaphysics, demonstrating inconsistencies and absurdities in the theory of evolution, amongst countless other studies.